Cynthia (Cindy) Lou Boyens was born in Greensboro, North Carolina on March 15, 1957. She is the daughter of Lew and Janet Jordon and the younger sister of Barry Jordon. When family and friends were asked to describe Cindy the word that came up most often was selfless. Cindy always gave (to her family, her friends, her church and causes she cared about) with no expectations in return. In her mind, there was no such thing as being stretched too thin. Cindy is in heaven now…smiling down upon her husband John, mother Janet, brother Barry, son Ryan and his wife Lauren, son Brent and his wife Katherine, grandson Charlie and soon to be grandson Brady, her nieces and nephews, her dogs Casey, Sammi, and Sophie, and countless friends. 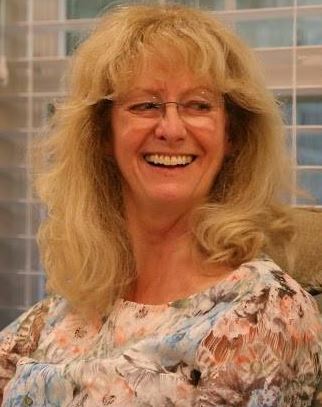 In lieu of flowers memorial donations may be made in Cindy’s name to Alive Hospice (https://www.alivehospice.org/support-us/donate-now), Memorial Sloan-Kettering Cancer Center (https://giving.mskcc.org/), Mercury One (https://www.mercuryone.org/donate/) or Highland Park Church (https://www.highlandparkchurch.com/). My lifelong friend… I just can’t believe you are gone. You are loved and missed in immeasurable ways. My Cindy, I am so blessed to have known you and loved you. Thank you for all the unconditional love you had for me and my mom. We are truly devastated, it can’t be true. You are an amazing soul, one of a kind. Sending all the love to John, Brent, Ryan, their lovely wives, and all that loved and knew you. Till we see you again, love you. John, I am so sorry to hear of Cindy’s passing. I have nothing but fond memories of her from years past. God bless you and the family.